Dayton Ward lives in Kansas City where he works as a software developer after spending eleven years in the U.S. Marine Corps. He is a Florida native and still maintains a torrid long-distance romance with his beloved Tampa Bay Buccaneers. 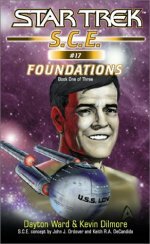 When Marine veteran and aspiring writer Dayton Ward submitted a short story to Pocket Books' first Strange New Worlds anthology contest -- a yearly publication dedicated to giving amateur writers and Star Trek fans a chance to tell a tale set in Gene Roddenberry's altruistic sci-fi universe -- he could scarcely have been prepared for the way his writing career took off like a proverbial rocket. 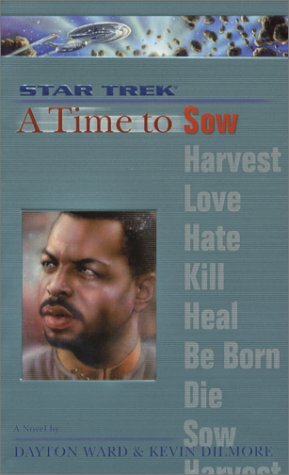 Now the author of several Star Trek novels (including, with writing partner Kevin Dilmore, the two-book "duology" A Time to Sow and A Time to Harvest from Pocket's 2004 eight-part Star Trek publishing "event"), and, with Dilmore, an ongoing contributor to the monthly e-book novellas that constitute the Starfleet Corps of Engineers series, Ward is a busy man. 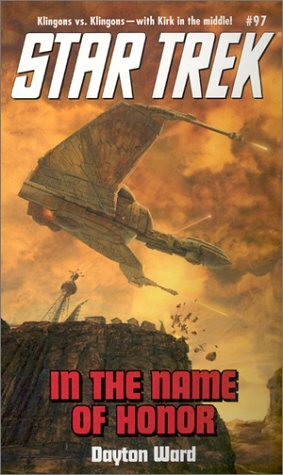 Still, 2004 saw the publication of his first non-Trek novel, The Last World War, in which alien soldiers stumble onto Earth while testing a new wormhole technology and promptly mix it up with American Marines on a training exercise, leading to Earth's sudden and desperate participation in an alien world war. Written for Pocket Books under the editorial auspices of John Ordover, The Last World War garnered critical acclaim and strong sales. 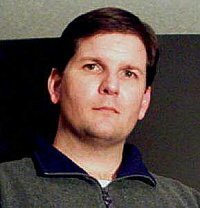 When Ordover took on editorial duties at Phobos Books, he tapped many of the writers he'd worked with at Pocket, including Ward, for a line of original sci-fi and fantasy novels for the new "Phobos Impact" imprint. The result is Ward's new novel, The Genesis Protocol, a fast-moving combination of science fiction and bio-thriller that shares some perilously engineered DNA with Jurassic Park, but which stakes out a tense story of compromised ethics and scientific arrogance on its own terms. In Ward's new novel, the Utah desert harbors a genetically designed ecosystem unlike anything ever seen on Earth -- a highly toxic living laboratory of plants and animals created for the express purpose of reclaiming chemically and radioactively contaminated land and water. But something else is moving through the jungle of unearthly flora and fauna -- something developed with less benevolent goals in mind. Ward names these ferocious creatures "harbingers," and in their relentless, intelligent aggression, the harbingers do indeed serve warning as to what may lie ahead if humanity undertakes to harness the power of creating new forms of life without a clear sense of direction -- not to mention a sense of right and wrong. 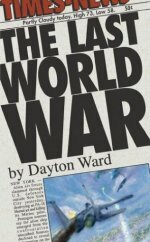 Dayton Ward corresponded with SF Site recently via e-mail for a chat about his new book, his on-going involvement with the popular Star Trek tie-in literature, and what books he might write next. The Genesis Protocol is a "Frankenstein" story about genetically engineered creatures originally created to reclaim highly polluted sites by metabolizing toxins like industrial waste, oil spills. and so on. Have you grounded the idea of made-to-order organisms designed to break down toxic wastes on any actual science? Are there, for example, genetically engineered dioxin-chomping bacteria? Well, we all know the concept of cloning has been in the news a lot in recent years, what with Dolly the sheep and even the recent incident of apparent fraud in South Korea. We eat meat and vegetables that are products of genetic engineering, such as fruits designed to be more resistant to frost damage or vegetables that aren't as susceptible to insect attacks. Growth hormones have been applied to harvest animals -- cows, fish, etc. According to an article I read on the Internet, the US Patent and Trademark Office has issued hundreds of patents for various genetically-altered bacteria and plants, including one for a bacteria designed to break down oil spills that was granted in 1980. There's quite a bit of very interesting material on this subject all over the Web -- some for the idea, some against it, and much of the information far above the ability of my two-cycle brain to comprehend, I might add. On several occasions I found myself reading article after article when I was supposed to be writing my book! For the story I was writing, it didn't really seem that far a stretch to create animals and plants designed to thrive in toxic environments and -- over time -- reclaim those areas into something which can be inhabited by "regular" plant and animal life. Of course, of equal interest is the controversy surrounding such scientific advancement. Particularly for storytelling purposes, for every positive use you might read about, you have to wonder about the things that might go wrong, or even Horribly Wrong™. Genetic engineering: It's the "atomic horror" of the 21st century, baby! It's not uncommon in science fiction or military adventure novels for the plot to involve secret government programs that have developed cutting edge technologies far in advance of what the general public expects: laser rifles, or cloned soldiers, or, as in your new book, the genetic engineering of an entire ecosystem. Is that plot device strictly a tool of the trade, or are there indeed black budget programs out there that have taken exotic technologies far beyond what we're told? Or would you have to kill me if you answered that question? It's definitely a time-honored component of the storyteller's toolbox, to be sure. As for how much of it has any bearing or basis on what secrets a government or military might harbor? Certainly there are technologies that are in the research and development or early prototype stage about which the public knows nothing. I seriously doubt there's anything really outlandish lying about -- a portal to another world or an interstellar spacecraft or top-secret government groups reverse-engineering alien technology, for example -- but I eagerly invite the good folks at Area 51 or NORAD to call me and tell me I'm wrong any time they feel it appropriate. 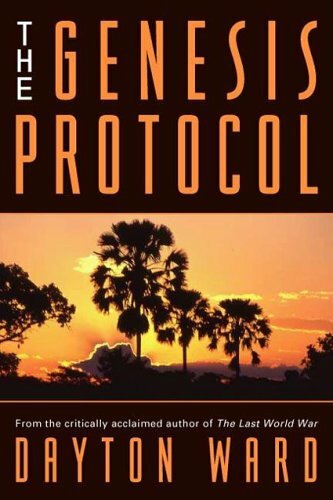 Reading The Genesis Protocol, it's as though you took Jurassic Park as a starting point and then brought the general idea into fresh territory -- there are certain things that the Crichton book presented as surprises or shocking developments that your book takes as given. Comparisons to Jurassic Park are natural (I even make a requisite joke about genetically-engineered dinosaurs as the novel moves along), of course, but I did approach the concept as though many facets of the technology have been around for years, decades even. By the time we join the story, some of these scientists have been involved with the project for a significant portion of their careers, and things have advanced to the point where they are just about ready to reveal to the world what they have to offer after years of work. It seems that the genre of science fiction evolves and develops in step with general scientific literacy -- what the scientists know as well as what the average Joe understands about science and technology. Yes, science fiction has to evolve over time to deal with the realities of what science and exploration continues to teach us. 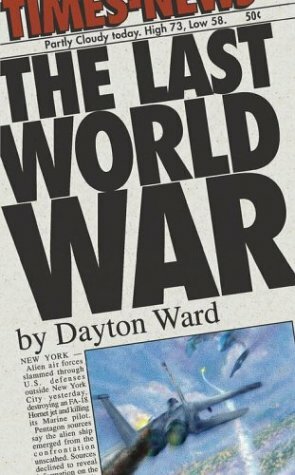 Just thinking of some recent examples from the movies, look at the different versions of The War of the Worlds and all of the clones it spawned. The basic concept hasn't changed -- Earth being invaded by aliens -- though the origin of the aliens and their methods have been updated with each retelling. Same thing with the Hulk: In the comics he was created when Dr. Banner was exposed to radiation from a nuclear bomb. If we were to believe what the movies and comic books of the 50s and 60s told us, pretty much everything from people to bugs was going to be mutated into dangerous man-eating monsters after being exposed to an atomic bomb. In the recent Hulk movie, the cause of Banner's metamorphosis was updated to reflect extrapolations from what we now know about genetic engineering, radiation, and so on. When the story is retold in 20 years, there will be a new reason behind the Hulk's creation. Science fiction is a wonderful vehicle for taking what we know now and pushing forward to the limits of imagination. In your earlier novels, both writing Star Trek fiction and with The Last World War, you had your characters out in the open, able to move around the world or even around the galaxy. In The Genesis Protocol, a number of your characters are more or less pinned in place. Does it make it harder to write an adventure story when you have people stuck in a bunker, or does that open up avenues to deeper character development and more intense suspense? You noticed that, eh? It was actually something I brought up with editor John Ordover during the writing of the book. In terms of scale, The Genesis Protocol is pretty small and confined when compared to other stuff I've written. 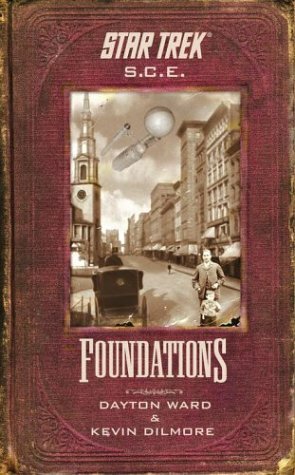 The setting necessitates that, which was fine because it allowed me to concentrate on the characters and their feelings, internal dialogue, and so forth as the story unfolds. You've read some of my other work so you know I like to tell a story from as many sides as possible -- the "good guys," the "bad guys," people caught in the middle, people who don't give a damn one way or another, etc. That was a bit harder this time because while I have "good" and "bad" characters in the story, the primary enemy of our "heroes" aren't intelligent beings with thoughts and feelings easily explored. I compared The Genesis Protocol to Jurassic Park before, but there's also a little similarity to Aliens -- the corps of Marines, the lovely female civilian in their midst as they fight off beasties... the tough Latina... Is there a bit of tribute going on here? It wasn't a conscious tribute to Aliens, no. It was just an outgrowth of working to create a diverse cast of characters. In addition to the Latino character Rolero, the main Marine character in the story is an African-American man, and so on. It's an outgrowth of my Trek writing, as for those stories we try as much as possible to incorporate alien characters as crew members and people from different races here on Earth. For books like The Genesis Protocol and The Last World War, I can't rely on Vulcans, Klingons, and so on to fill out my cast, so I try to be diverse in other ways. In The Last World War and also now in The Genesis Protocol, your heroes are Marines. Having been a Marine yourself for 11 years, is this a matter of writing from what you know? Are you maybe writing from a Marine point of view to help dispel -- as you put it in The Genesis Protocol -- the stereotype that military personnel are all "mindless grunts who kill everything in their path"? I guess in short, I'm asking if you make Marines the heroes of your novels because Marines are your personal heroes? There's definitely an element of "Write what you know" with my use of Marines, certainly with regard to the jargon, the mindset, and so on. I'd also like to think I'm doing at least a small bit to dispel negative stereotypes and myths about "dumb jarheads" or the idea that Marines (or any member of the armed forces) are nothing more than mindless robots who want nothing more than to kill people and break things. That's one of the things I appreciated during the early days of the Iraq War, when the embedded journalists spent time interviewing service members and showing the viewing public the day-to-day life a man or woman in uniform lives during such situations. As for Marines being my personal heroes, I don't think it goes that far -- with certain exceptions, of course -- but, generally speaking, I respect anyone who makes the decision to serve their country. Despite the good guys in The Genesis Protocol being troops, there's a strong suggestion that military brass are the bad guys behind the novel's on-site bad guys. I notice that Judith and Garfield Reeves-Stevens, in commenting on your earlier novel The Last World War, quip that there must be a Pentagon policy in place for dealing with alien invasions of the sort that The Last World War explored. Between that and the (regrettably late) sci-fi TV series Threshold, which was all about just such a secret policy, it seems fair to ask whether there might be just such an emergency plan in existence. Given some of the bizarre things on which governments spend money, research into what should be done in the event of visitation by extraterrestrials seems pretty tame by comparison. I made a point in The Last World War of saying that, although governments around the world had spent time and money exploring how to deal with alien invasion, all of their plans were useless because the aliens didn't show up in spaceships. As for what, if any, plans there might be for such an event -- I'm afraid I'm not on that mailing list. I like to joke that I was hoping I'd get a call from the government, like Tom Clancy did after The Hunt for Red October was published, asking where I got my information and who was helping m and so on, but because that never happened it's just more proof of the global conspiracy to keep the knowledge of aliens under wraps. Speaking of The Last World War, might you be writing a sequel to that book at some point? I certainly want to write a sequel. I have a completed outline for a second book, but some odd things happened after the first one was published. Pocket Books originally contracted for The Last World War as part of a new line of original fantasy and science fiction books, many of which were written by authors who to that point had been writing various media tie-in works for them. Peter David, Keith DeCandido, Susan Wright, for example -- all of whom have written Star Trek or other licensed tie-ins -- wrote books for this line. I suppose the venture wasn't as successful as Pocket hoped, as they made the decision to end the line shortly after the first batch of books -- including The Last World War -- was published. It's kind of ironic, as the book apparently has done pretty well, sales-wise. At last report, it had gone back for a fourth printing early last year. We're not talking The Da Vinci Code numbers here, obviously, but still better than expectations. Anyway, if I want to get a sequel published, I have to find a publisher who's both willing to buy the book, but also to do so knowing full well that the first book is being published by someone else. It's been done before, but usually by someone with a lot more name recognition than myself. Still, one publisher has expressed interest in the idea, and while those wheels grind I've stayed busy with other writing projects. You're still writing stories for the Starfleet Corps of Engineers e-book series as well as your non-Trek projects. When the series re-formats in the next year or so, will you continue to contribute to it with co-author Kevin Dilmore? And also, are you thinking at all about writing for other Trek series -- going back to The Original Series characters, for example? Kevin Dilmore and I are writing the first book in the "relaunched" Starfleet Corps of Engineers series. The series itself is being retitled simply to Star Trek: Corps of Engineers, because apparently a lot of people were asking "What is Starfleet Corps of Engineers?" Also, the numbers [of the series] are getting into the sixties at this point, and it was felt that they were a detractor to people looking to check out the series for the first time. The first installment is titled Turn the Page, and will act as a sort of "re-introduction" to both the series concept and the main cast of characters. The continuity of the original set of stories isn't being jettisoned at all. Instead we're telling a story that serves as a jumping-on point for new readers. A new character is joining the crew, and the bulk of the story will be told from this person's point of view in order to facilitate the re-familiarization. As for writing for other series, Kevin and I wrote the second book in the Star Trek: Vanguard series, titled Summon the Thunder, which will be out in July. The series is set during the era of the original series, and our book picks up a month or so after the events of the first book, Harbinger, written by David Mack. Our task was to expand the mystery and characters introduced in that book. I could say more, but then I'd have to kill you. Also, 2006 is a banner year for Pocket Books with regards to celebrating the 40th anniversary of the original Star Trek series, and Kevin and I are involved in a few things for that (nothing I can talk about as of this writing, though). 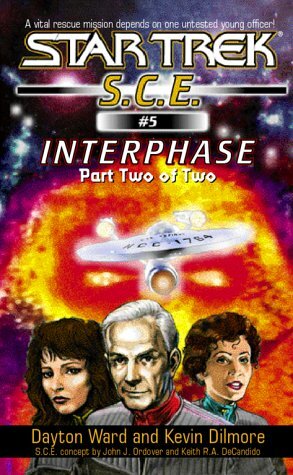 Last year, one of the final episodes of (again, late and lamented) Enterprise involved the fate of the Starship Defiant, for which you and Kevin Dilmore had written a much different story in the Starfleet Corps of Engineers series. When TV or movie Trek goes and contradicts your carefully plotted-out idea, do Trek novel writers just throw up their hands? Or is the Trek universe big enough to accommodate multiple, mutually exclusive stories involving the same ships and characters? We lock ourselves in our basements and stick pins in little voodoo dolls crafted to resemble the producers. When we wrote Interphase, our Starfleet Corps of Engineers story that features the recovery of the Defiant from "The Tholian Web," Enterprise was still in development and nearly a year away from its premiere. 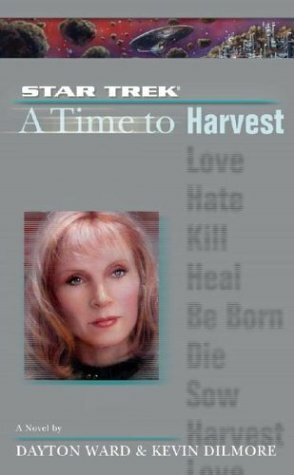 Some really great Star Trek novels have been superceded by onscreen "canon" over the years -- Strangers from the Sky by Margaret Wander Bonanno and Federation by Judith and Garfield Reeves-Stevens, to name just two examples. Media tie-in writing, by its very nature, means that you take your lead from the studio when it comes to character development, major plot events, and so on. It's not that the studio actively sets out to contradict the tie-in novels, but rather that such things aren't even on their radar -- generally speaking -- and nor should they be. 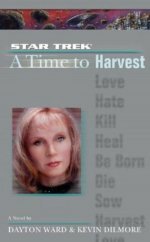 Producing a full season of television that remains consistent with itself as well as hundreds of other episodes from the previous Star Trek incarnations is hard enough without also having to worry about the hundreds of novels and short stories out there. Tie-in writers know that there is always a chance the creative folks behind the series and movies may well develop a storyline that either is at odds with a story they wrote, or else contradicts it altogether. It's just part and parcel of the tie-in writing game, and doesn't detract from the quality of the novel itself. I still count those two books as personal favorites to this day. And when you think about it, the situation is not all that different from other science fiction that eventually is superceded by reality. We still read and admire The Martian Chronicles even though we know there are no Martians. Raise the Titanic! is still a fun read, despite what Dr. Ballard discovered when he found the wreck. A good story is a good story, dated or otherwise. Also, as it happens, Kevin and I have discussed possibilities about how to reconcile Interphase with what we now know about the Defiant from [the Enterprise two-part episode] "In a Mirror, Darkly." Who knows? You might read about that one of these days! 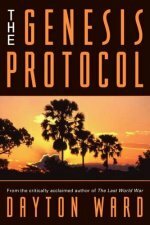 Tell me about Phobos Books, the publisher for The Genesis Protocol. I understand that Phobos was founded on a different approach to the editor/writer relationship. How does that work, and do you find it creatively liberating? Will you be writing more for Phobos? John Ordover took over as the editor-in-chief at Phobos after leaving his longtime position as editor of Star Trek fiction at Pocket Books. It was his idea to put a spin on what he'd essentially been doing already with Star Trek fiction in many cases -- coming up with a high concept for a novel or series and then working with writers to flesh out the idea. In this case, he's done that with a number of concepts for original science fiction and fantasy [novels] -- developing the initial idea and then tapping a writer they [sic] feel is the best fit for the project. The writer then works with him to expand the concept into a complete story and then goes off to write the novel. For The Genesis Protocol, John approached me with the basic concept of the genetically engineered animals and environment, and special forces having to go into this "alien world" for whatever reason. He left pretty much everything else for me to figure out -- how the environment came about, the characters, the actual storyline and reasons for the military's involvement, etc. -- and worked with me to tweak the concept as I worked on an outline. I guess it took a month or so to iron out the details before I started writing, but I need to stress that John didn't control or "pull rank" as the story was being developed. We talked at length about a number of points until we both were satisfied with the final product, and I was given all the freedom and latitude I needed to write a story I wanted to tell. What can I say? John's been as much mentor as an editor to me from the time I sold my first Trek story to the Strange New Worlds contest. 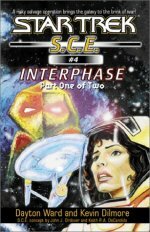 Considering some of the other authors he tapped for other Phobos titles -- Mike Resnick, Dean Wesley Smith, Stephen Harper, Sharon Lee and Steve Miller -- and what he's trying to accomplish, it demonstrates a tremendous amount of trust and faith on his part to bring me aboard for something like this. How about a possible follow up to The Genesis Protocol for Phobos? Have you outlined any possible stories or played with ideas for how to continue the adventures of Elizabeth Christopher, Gunnery Sergeant Hassler, and the implacable "harbingers"? Actually, a sequel to The Genesis Protocol is more likely to happen before a sequel to The Last World War. 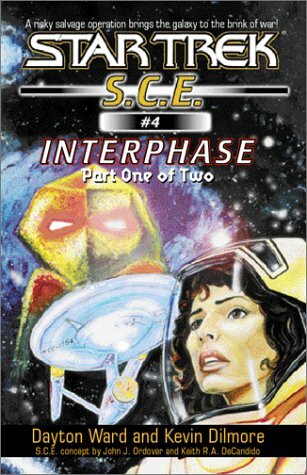 While John Ordover has made no formal plans for sequels to any of the books which make up the initial offering of Phobos Impact titles, the general idea is to put these first books out there and see which ones stick -- sales-wise, popularity-wise, and so on. Even though each book is a standalone story, they're also introducing concepts which lend themselves to follow-up stories. Those that end up "working" might very well prompt John to commission sequels, and I've already said I'd be up for another visit to the "world" created in The Genesis Protocol. I guess we'll see what we'll see, eh? You probably get asked all the time about whether you'd like to see your books made into films, but here's one for you: wouldn't The Genesis Protocol make a bitchin' first person shooter video game? I mean, you have the beasties, the jungle, the weapons, the castle-like Observation Station... everything you need for hours and hours of electronic mayhem! Kilian Melloy is the Editor at Large for wigglefish zine, and a columnist and reviewer for EdgeBoston.com. Hoping to make a living at this some day, for the moment Kilian is thrilled just to be talking to the creative, intriguing people he has the chance to interview for these and other web publications.